During the early years, it is extremely important that parents and caregivers be the ones who create a nurturing environment. Children are biologically "wired" to respond most to those with whom they have close bonds. 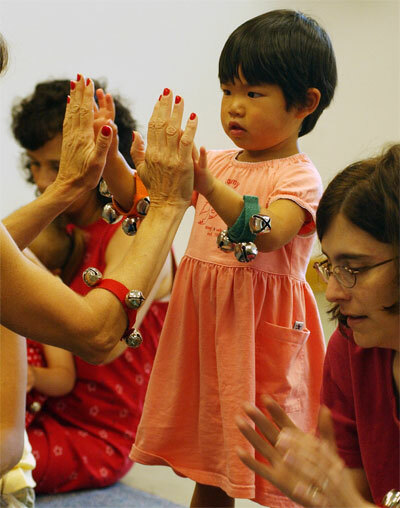 Music Together® classes help you build that bond. Get to class a bit early and you can tap on the big gathering drum! both of your bodies begin producing a chemical called Oxytocin? Oxytocin is known as the "bonding chemical". 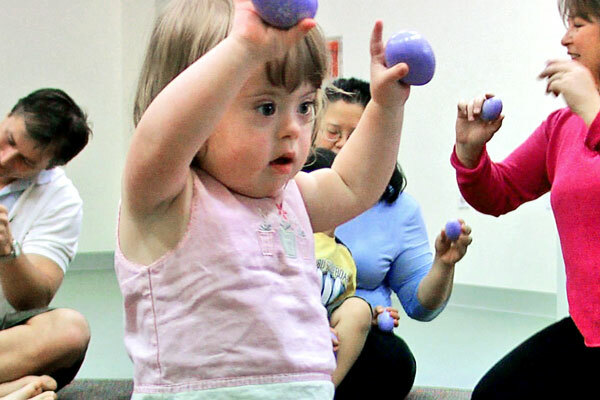 Music Together believes in an “accept and include” philosophy, understands developmentally appropriate practice, and respects different learning styles. "Music is one of my specialties. I love learning exactly how to do a clapping pattern or a dance step. I like to play instruments the real way. I love to practice the things I'm interested in, and I know when I get things "right" according to me. I'm attracted to other kids who can do great things in music, and I'm beginning to feel like I need music every day and maybe for the rest of my life. I'm four-and-a-half, and proud of it!" 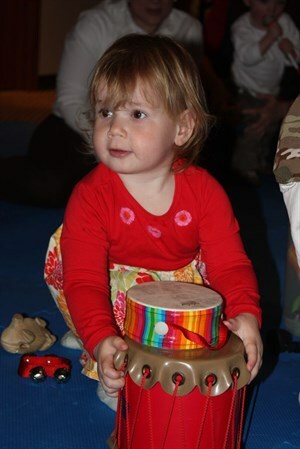 - Music Together family songbook - "A Child's Wish List"
Music is a basic life skill. 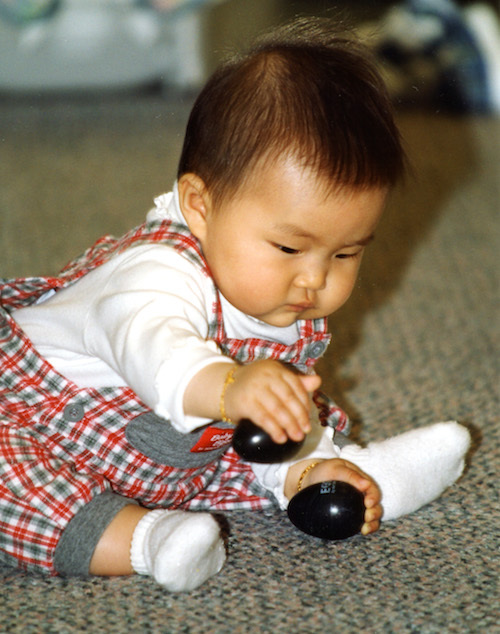 Playing bells with dad is great! You are the most important model and teacher for your child. 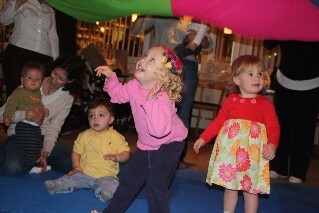 A high-point of Music Together classes is the jam session we call the "play-along".